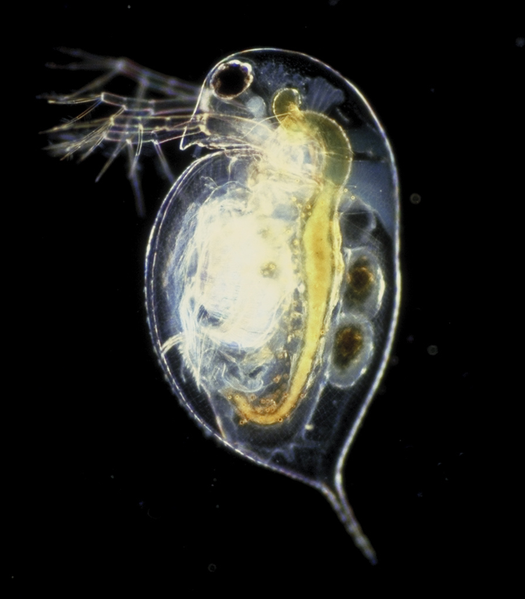 Cladocera is an order of small crustaceans that are commonly referred to as water fleas. 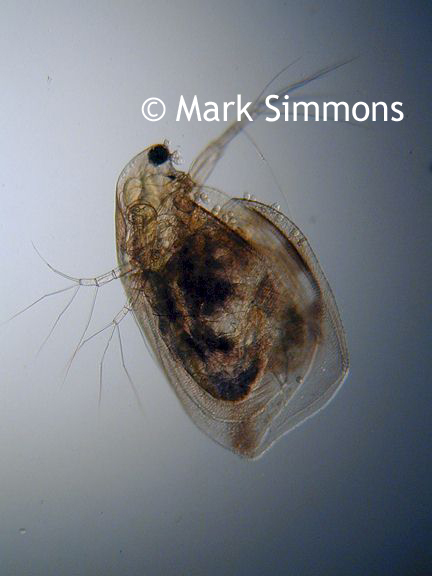 Rarely found in oceans, Cladocera are more commonly found in inland water habitats. Most Cladocera are 0.2mm - 6mm in length, with a single eye. The head has two pair of antennae - one with olfactory setae and the other for swimming. The mouth is small and is used to eat bacteria and organic material. Cladocera image captured under a biological microscope courtesy of Mark Simmons. Have any interesting images you have captured under your microscope? We would love to see them! Email us here.